At 26 miles the Clarendon Way is the perfect size to do in a weekend, especially if you’re based in the south or south east of England. Running between the cathedral cities of Salisbury and Winchester, it takes you across a variety of countryside, from woodland to down-land, and gives you historical buildings to view too. Going along good paths and with shorter distances, it’s an ideal walk for autumn or spring when the nights are drawing in, however it also has links with other long distance routes meaning it can be part of a longer trip. With a cathedral city at each end, the Clarendon Way starts and ends in style. In-between you’ll find a mixture of farmland, woodland and downsland walking as well as the odd site of historical interest. You’re never too far from a small village, and there’s plenty of churches too. As the walk approaches Winchester you will find yourself walking through a plethora of suburban streets, although there is the chance to see some of the interesting sites of the city. The route is never difficult – it’s pretty flat and the paths are of a pretty good quality. It’s well waymarked and hard to get lost most of the time, however there are occassions when you will need to be able to read a map in order to find your way. The Clarendon Way goes between Salisbury and Winchester, and you can see the route using the map above. Using the controls you can scroll around, zoom in and explore the route. Note that this map is a guide only, and should not be used for navigation. Due to its short length there aren’t many decisions to be made with the Clarendon Way. Basically it will take you two days (unless you’re a speed demon!) There aren’t that many places to stop overnight and you’re only decision is which city to start in, and there’s no right or wrong answer on that one. Accommodation can be found in two different villages so two options are shown below. The itinerary is shown running west to east, however is easily reversed. Locations with a railway station are marked with a 🚂. Alternative accommodation can be found in Broughton, two miles before Houghton. You can also stay in Stockbridge, 1½ miles north of the trail. To get there just The easiest way is simply to follow the Test Way north from the Clarendon Way. With simple navigation and good paths, the Clarendon Way is a great walk to do all year round. There are a couple of options for extending your walk. The South Downs Way runs for 99 miles between Winchester and Eastbourne, however it is very easy to chunk up in to two day sections. See Planning a trip to walk the South Downs Way for more information. 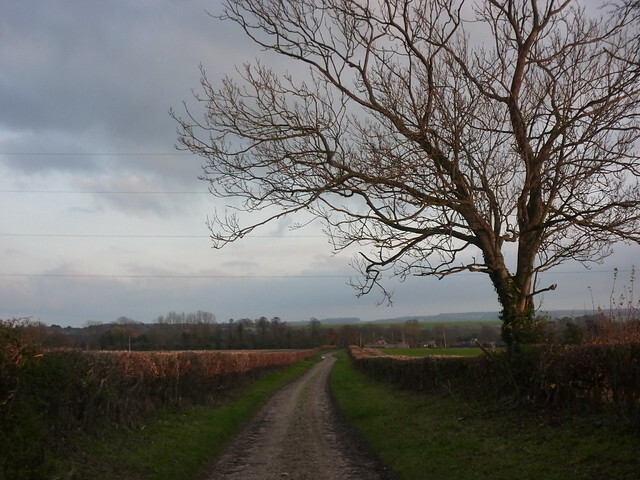 Not surprisingly, the Clarendon Way shares a lot of similarities with the South Downs Way, so they’re a good fit. Alternatively, the St Swithuns Way connects Winchester with Farnham. At Farnham this then connects with the North Downs Way which runs to Dover. The combination of these two routes with the Clarendon Way effectively provide a safe, modern and road-free version of the Pilgrims Way. Not being a very well known route, there’s no dedicated accommodation guide for the Clarendon Way, however accommodation can be found relatively easily. The main places where you’re likely to want to stay are listed below, along with information on how to find accommodation. All have facilities like shops and pubs. Salisbury – a wide range of accommodation is available. Local tourist information website Visit Wiltshire includes a detailed list. Broughton – options in or near the village are Yew Tree Barn, Yew Tree House, and Foords Barn. Houghton – a few miles on from Broughton, is the village of Houghton where you can find Honeysuckle B&B. Stockbridge – a mile and a half off route, Stockbridge is an option if Broughton and Houghton are full. It has several inns, hotels and B&Bs. Visit Hampshire’s page on Stockbridge includes an accommodation guide. The village has several shops and cafes. Winchester – a wide range of accommodation is available. Visit Winchester includes an accommodation search option. Please note that the above list is not exhaustive and there may be other alternatives nearby. Since the closure of YHA Salisbury in 2015, there are now no hostels or bunkbarns on the Clarendon Way. If you’d like to walk the Clarendon Way and camp, you may want to change your mind. 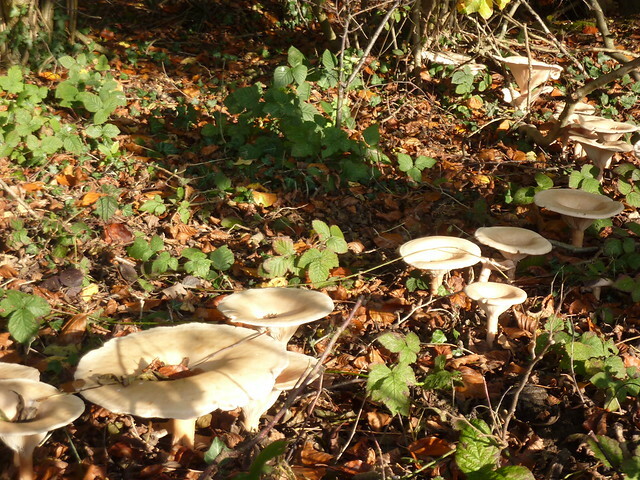 There are no convenient campsites on route and as the Clarendon Way passes through cultivated land and several villages, it is not particularly suitable for wild camping. There are railway stations at both ends of the Clarendon Way and both stations are well served by trains to London and the South East. Services from Winchester also run direct to Birmingham and Manchester. From Salisbury services run to Bristol and Cardiff. More information and train times can be found on the National Rail Enquiries website. The easiest thing to get hold of is a leaflet published by Hampshire County Council. This covers a (very) basic overview of the walk, along with some history and information. Although long out of print, there is also a guide book available second hand, written by Barry Shurlock. Note that we have not seen a copy so cannot vouch for what it covers. Note: in June 2015, OS Explorer OL32 replaced OS Explorer map 132. If you live in the south or south east of England, the Clarendon Way is a good choice for a two day walk, or maybe just as a quick, simple introduction to this long distance walking thing. The relatively short distance and good path conditions mean its especially ideal for autumn or spring walking, and maybe even for one winter. It’s only downside is that some of the signage on the route isn’t brilliant, especially in Winchester which seems to go out of its way to be awkward for walkers (we found the South Downs Way signage in the city to be pretty bad too), but if you’ve got the maps you’ll have no trouble. So what are you waiting for? 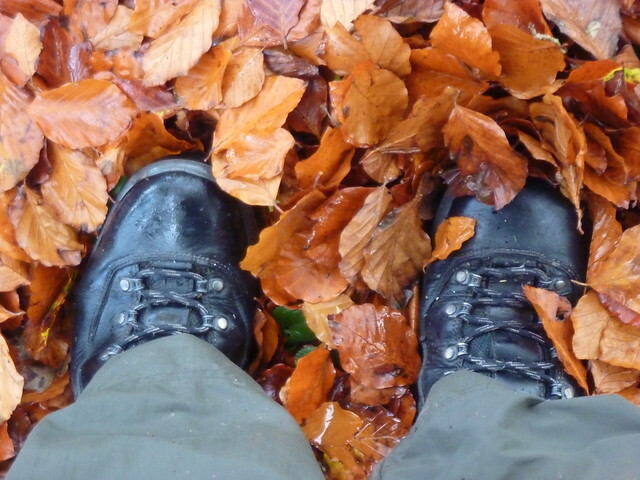 Get those boots on and head to Salisbury or Winchester and get walking! And if you’ve any questions or would like some more information, don’t hesitate to ask in the comments box below. Absolutely. Although personally I prefer a more relaxed walk! Hi Kerry. The original guide was based on research for our own walk back in 2011. At that point we could only find the one B&B in Broughton, so I’m happy to hear there are more and have updated accordingly. Broughton was our preferred stopping point for our trip, but sadly we ended heading up to Stockbridge. Glad to hear the Tally Ho is open again – it was closed when we passed by. Are there any guides that show the walk from East to West? If not, would you say it is simple enough to follow normal signage and have a map at hand? I am trying to arrange a walk for charity so it would be good to be able to give written directions to other people who may wish to join in but not used to reading maps. The charity walk will be from Reigate to Dorset (over 4 weekends), so if you have any further advice on planning a walk please let me know – any advice gratefully received!! Hi Jayne – there isn’t really any guide to the route, but it’s very easy to follow from signs and maps so you should be fine. We often get walkers saying they did not know there was somewhere to buy a snack or a drink on their trip . On the Cross, Winchester Road, Kings Somborne, SO206NY is Cross Stores. A local family run independent convenience store that offers a varied selection of items that might appeal. Andrew, I like the site, comprehensive with lots of useful information but simple and clear; pity I saw it after I’d done most of the planning. Accommodation halfway is a problem; I got through to one of the Places in King’s Somborne but they no longer operate, the other doesn’t seem to work either as your info states. I found a B&B in Houghton in the end. Thanks Les – I’ve now corrected the km distance where I’d obviously transposed the 2 and the 4! It looks like Kings Somborne is no longer an option so I’ve removed that, but as it happens I have heard there’s now a B&B in nearby Houghton, giving another option. Many thanks for your great video, most enjoyable. I am planning to do this at the end of May 2016, thinking of taking a train from Winchester first thing and walk back in a day, which has 12 hours of sunlight. Do you think that is reasonable? Do you have any recommendations as to which map to buy as a guide? Paul – If you’ve the stamina and fitness levels to walk 26 miles in one day, then it is possible. Bit too much for most people though! Thank you Andrew for all this great information! We did this walk from Salisbury over 2 days over the Easter weekend and really enjoyed it, though we cut it a bit short at the Winchester end, as we live on the edge of the city anyway. The signage isn’t brilliant on the Wiltshire side; we took a couple of unnecessary detours around the Winterslows. Better on the Hampshire side until you get to Crab Wood, where it disappears for a while and then. confusingly points you back the way you came……. We can thoroughly recommend Yew Tree House in Broughton for an overnight stop. My sister and I walked this in a day yesterday. The path markers kind of disappeared at West Winterslow church meaning we took a long circular detour here. Top tip go alongside the church then diagonally across the field to the gate which will put you back on track. I would agree that this is better split over two days, although my sister and I used it as a training walk for a 100k charity challenge. It was quite tough going especially in the mud at times. We stopped at the Tally ho in Broughton for lunch and had the most amazing cheese and pickle sandwiches. Overall we had a great time and would recommend this walk to anyone. Hi, we walked this on Sunday as a fundraiser for the Naomi House Hospice and found that it was in fact 27.4 miles from cathedral to cathedral – measured on three separate devices! This is something to bear in mind if planning to do it in one day as we certainly felt it. Beautiful walk though and with it being an organised event we had no issues with the signage, but people that had walked it on their own still said they’d had the same ‘disappearing signs’ problems. 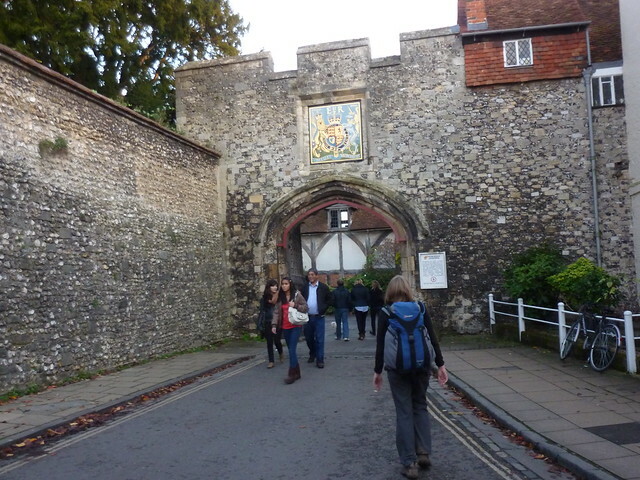 We have just completed this excellent walk from Winchester to Salisbury in two days, breaking at Houghton. 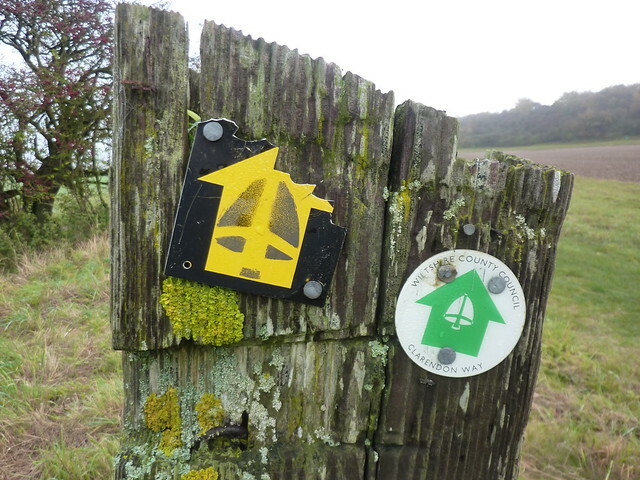 The leg from Houghton to Salisbury makes an easy day’s walk of some 14 miles, but we agree with earlier posts that signage is poor in places…a lot worse than the first half. We can recommend The Silver Plough at Pitton as a very good lunch stop…but don’t leave it too late as it gets very busy, even on a weekday. Reading the feedback and seems a lot of people are taking a detour or two due to the lack of signage on the Trail. Have the signs been updated recently on the Trail? Hope to be walking the Trail at the end October with our Scout Group as part of the 1st Class Hike and can anyone tell me whether the lack of trail signs have been reported to the Rights of Way Team at Hampshire County Council at rightsofway@hants.co.uk or not? Hi, my friend and I are doing the Clarendon Way walk in June but want to do it in reverse I.e. Starting in Winchester and ending in Salisbury. Do you know if the signs are clear both ways? Also, we think we will walk to Broughton on day 1 and wondered if there are any recommendations for accommodation roughly half way and not too far rom the pub or eatery? We’d recommend the Yew Tree at Broughton for your overnight stay. Very comfortable and just over the road from the pub. It’s a lovely walk – good luck. Hi, My wife and I run Yew Tree House in Broughton and have done so for many years welcoming hundreds of walkers. We are the only B&B left in Broughton now, more or less half way along the walk. The Mill Arms is miles off the route in Dunbridge and Yew Tree Barns is in Houghton. Are there any pubs to stop for lunch midway on either or both days? We’re staying overnight in Broughton. 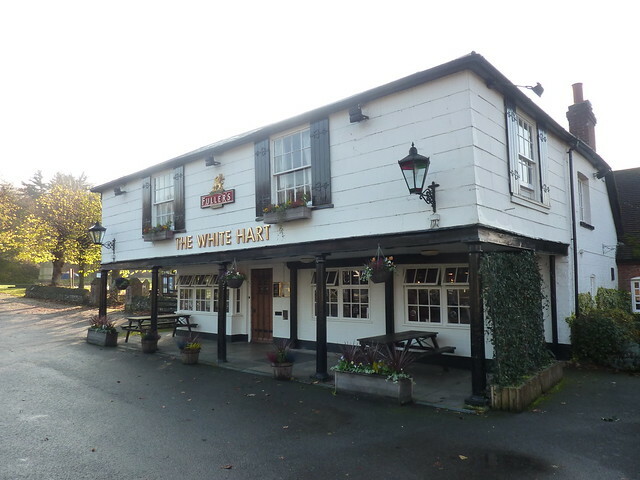 Mandy – there are a couple of pubs between Winchester and Broughton. But not much on the section to Winchester that I remember. Have done this walk several times, in both directions, it being very accessible from London train stations. A return ticket to Salisbury seems to be acceptable at Wincehester! I agree with the figure above of 27.4 miles, having measured: Salisbury 8.0m. M. Winterton 4.2m. Boughton 4.1m. Kings Sombourne 11.1m. Winchester. It is also about 2 miles detour to Stockbridge up the Test Way for accommodation if required. Going is easy with firm surfaces and only the occasional muddy bit in wet weather. Signage is pretty good either direction. Having completed Winchester to Salisbury at the weekend, I took a wrong turn once, west of Broughton at a fork by a reservoir (underground?) where there was no sign. The best way? Possibly from east to west as the part in Winchester suburbia is a bit tedious so that gets done first. My initial thoughts were to travel from Winchester Cathedral to Canterbury Via the Pilgrims Way/North Downs Way. On Scanning a map of England I learned that Salisbury could be added with a minimum of added time. So now Salisbury to Winchester to Canterbury. Once I reach Canterbury my plan is to forge on to Dover and return to Winchester via the South Downs Route. I am compiling lists of “must see” sights and am willing to go slightly off trail to visit significant historical/cultural sites. I also enjoy agricultural markets and local fairs. I have a particular interest in visiting Guildford for an extra day. My great grandmother was sent to Canada from the Workhouse there and I must scratch the genealogical itch. (My family also has origins in Tunbridge Wells). Should there be any information anyone cares to share I would be appreciative to receive it. I walked from Salisbury to Winchester (1 day) stayed at the Wykeham Arms Winchester (easy to find via websearch) to Alton (1 day) to Guildford (1 day) in May 2016. Although I had a one day break in Winchester I walked the distance too quickly, suggest 4 to 5 days for that stretch. I am sure you will enjoy that initial stretch. Best wishes. hello,there was a book issued in the eighties that described both test way and clarendon way that can still be bought on amazon even though out of print! I am walking the Clarendon Way this coming Saturday. I wondered if you can remember if there is anywhere we might fill up water bottles on route. We weren’t planning on stopping too long therefore not planning on cafe or pub stops. Thanks for your help. Hello Maria – I don’t remember there being anywhere en-route I’m afraid. We have just done this walk this weekend. Started at our house in Salisbury, stopped overnight in Stockbridge and then onto Winchester the following day. 31 miles altogether. Stunning scenery and route is well marked. Had a coffee at the silver plough at Pitton. Opens at 11.00. Stop at Broughton for a drink and the shop in Kings Somborne sells coffee so there are a couple of refreshments stops available. Route is still quite muddy in places but we thoroughly enjoyed the walk. 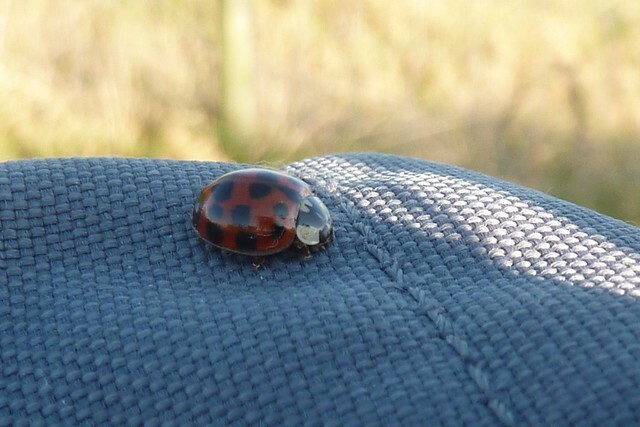 I walked the Clarendon Way with a few friends on Saturday. My G PS recorded the route as 28 miles. Could buy water in Broughton and King Somborne but actually didn’t need to as this miserable weather persists (cloudy and cold but no rain), and carried enough. we didn’t get lost with the help of OS maps and waymarkers. Just walked the Clarendon Way this Bank Holiday in, thankfully, slightly cooler weather compared to recent weekends. Overall a pretty enjoyable day, though I do agree with an earlier post that the signage around the Winterslows is not the best and resulted in me taking a couple of detours as well. I found that in order to undertake the walk in one day however, you’re looking at about 10.5 hours ( including a couple of breaks ) so any future walkers thinking of doing this route should bear this in mind as it would commit you to a full day. I do agree that doing it over two days is a more sensible option and, if you can, try to avoid doing it at the height of the summer heat as there are sections where shade is limited and you may be vulnerable to sun exposure which may tire you more quickly. Take lots of liquids just in case and also consider wearing a hat. Best wishes. We walked the Way west to east in September of 2018. We stayed overnight at Honeysuckle B&B in Houghton with an evening meal at The Boot Inn. Both highly recommended! Sarah, our host at Honeysuckle B&B couldn’t have been more friendly and was happy to provide an early breakfast to send us on our way on Sunday. Arrived in Winchester in time for Sunday lunch at The Old Vine, right by the cathedral. Perfect way to spend a weekend. We are a group of 6 ladies (70 yr) from the US. we want to travel to the UK and take a 3 day walk on one of your lovely paths. We would like to walk The Clarendon Way if there is a way to break it into a 3 day walk, instead of a 2 day walk. Are there any possible places to stay that would allow for 7-8 miles of walking each day? Hello Jackie – you could walk from Salisbury to Middle Winterslow in about eight miles. Then maybe nine miles or so to Kings Somborne. You may need buses or taxis to get to accommodation though. First Published: 21 August 2012. Last Updated: 1 January 2019.